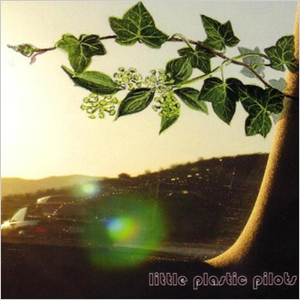 Little Plastic Pilots is the self-titled debut release from Kanpai Records' latest recording artist (a.k.a. Sam Nelson). This uniquely crafted album is an intricate blend of electronic and organic elements, with delicate, intimate sounds paired in just the right proportions with warm, enchanting melodies and glitched out beats. Both atmospheric and rhythmic, Little Plastic Pilots is reminiscent of early Boards of Canada and Aphex Twin - but full of fresh, new, multidimensional sounds and individual sonic aestheticism. The rhythmic use of non-percussive sounds weaves in perfectly with panoramic aural landscapes, resulting in a beautiful and contemplative musical journey. Little Plastic Pilots is a complex interplay between sound and abstract thought, all the while retaining an authenticity and intimacy that listeners can grasp a hold of and enjoy over and over again. 02. There's a Shipwreck Down There / From Lamey to L.A.